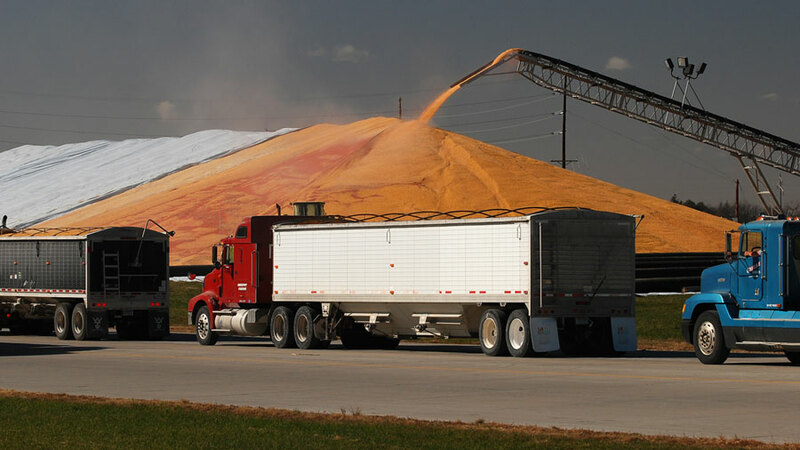 Stand-Up for Grain Safety Week was organized by the National Grain and Feed Association (NGFA), the Occupational Safety and Health Administration (OSHA), the Grain Elevator and Processing Society, the American Feed Industry Association and the Grain Handling Safety Coalition. Moving or flowing grain acts like quicksand and can bury a person in seconds. From the time an auger starts, a person has two to three seconds to react. In four to five seconds, a person is trapped. In 22 seconds or less, the person is completely covered by grain. Grain bin incidents often result in multiple fatalities because coworkers improperly attempt rescue procedures and become engulfed themselves. Be aware of bridging grain, which occurs when grain clumps together due to moisture or mold. These conditions can create an empty space beneath the grain as it is unloaded, which means it can collapse unexpectedly or under a person’s weight. Do not enter a bin when there is a bridging condition, or if grain is built up on the side of the bin. Always monitor the atmosphere inside bins for dangerous changes. Make sure there two people are always present when working in bins and maintain communications between the attendant outside the bin and the person inside the bin. Never move grain into or out of a bin while someone is inside. Lockout/tagout all mechanical, electrical, hydraulic and pneumatic equipment that presents a danger, particularly grain-moving equipment. A bin of grain may seem harmless, but in just seconds, that harmless grain can claim a life. Please be safe and share these messages with anyone working with grain. People in rural communities live surrounded by growing food, but they experience hunger too. That’s why CHS is once again teaming up with local farmers to fight hunger in rural America. The CHS Harvest for Hunger food, grain and fund drive begins March 1 and continues through March 20 at your nearest CHS location. Since 2011, CHS has raised more than $5.6 million and 3.6 million pounds of food through its Country Operations business units. CHS locations across the United States have organized ways to get farmer, ranchers, employees and community members involved in fun and interactive ways to raise food and funds to fight hunger. Financial donations are encouraged as they give food banks additional buying power to provide nutritious food at deeply discounted rates; $1 equals 6 pounds of food for area food banks. But food and grain donations are also accepted. Every donation counts. Stop by or contact your nearest CHS location to learn how you can support CHS Harvest for Hunger.